BEIJING — China’s building material sector posted significant profit growth last year thanks to cement production warming up, official data showed. 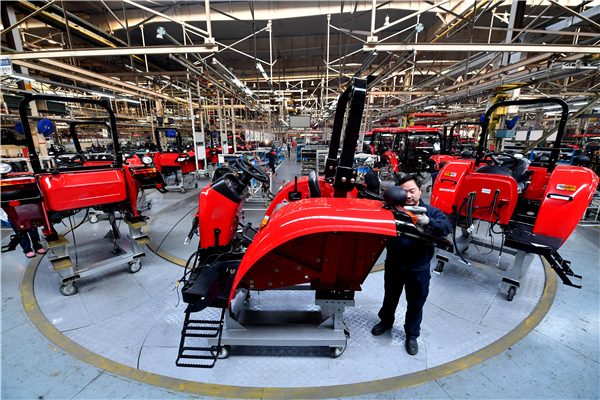 The sector’s profits totaled 431.7 billion yuan (about $64 billion) in 2018, up 43 percent from a year ago, according to the National Development and Reform Commission. Cement producers raked in profits of 154.6 billion yuan, more than double than that of a year ago. The cement output increased 3 percent year-on-year to 2.18 billion tons in 2018, reversing a slight decline in the previous year. The stellar performance was attributable to a rising cement price. In December, the average price of cement was 10.6 percent higher than a year ago. Another main building material, plate glass, reported profit growth of nearly 30 percent, despite a downward price and a slower production increase.